Last season, Natesan played for the Colorado School of Mines. Cupertino High alum Gokul Natesan has been drafted by the Canton Charge of the NBA G-League, formerly known as the NBA Development League. 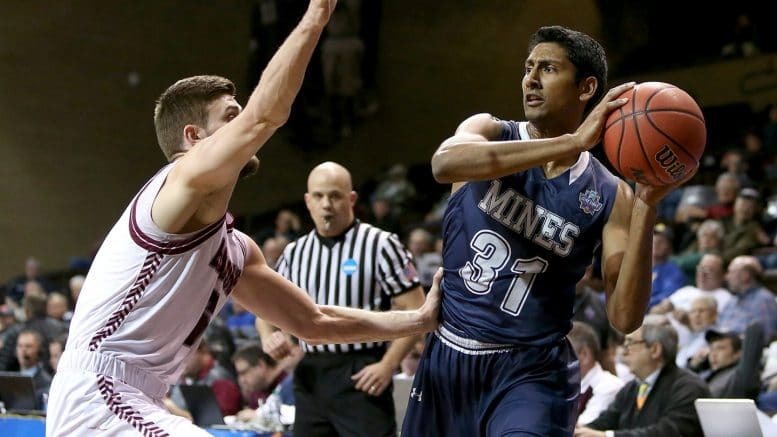 Natesan was the 19th pick in the fourth round of this week’s draft by the Charge, who are are the minor league affiliate of the Cleveland Cavaliers, according to the Colorado School of Mines men’s basketball program. Natesan was a bonafide star for the Mines before he graduated with a B.S. in computer science in just three years in May 2016 (3.9 GPA). This past academic year, he’s been working on his master’s degree in computer science and maintained a 3.9 GPA. His 2,014 career college points are fourth all time for the Mines, and he is the program recordholder for steals (249) and ranks second in all-time assists (427), three-pointers (283) and free throws (575). As a senior in 2016-17, Natesan averaged 18.5 points, 2.5 rebounds, 4.3 assists, and 2.1 steals per game and was named to the D2CCA Third-Team All-America, the NABC First-Team All-South Central and also the First-Team All-RMAC. In the 2017 postseason, he led the Mines to its first-ever Elite Eight appearance and a program-record 30 wins. Be the first to comment on "Cupertino High star athlete drafted by NBA G-League"